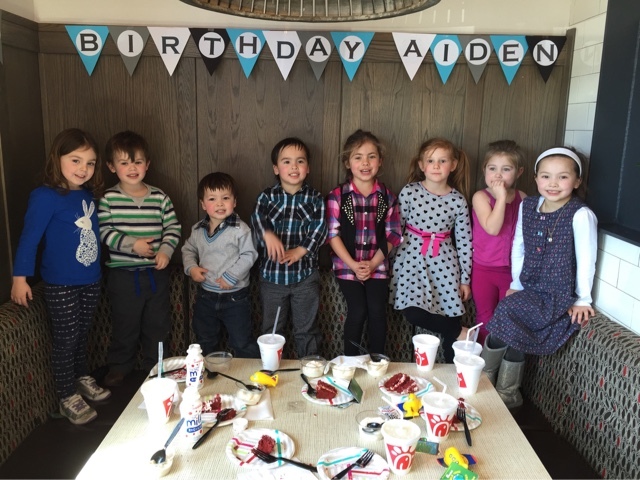 We celebrated A's 4th birthday party at one of his favorite places.....chick fil a. Besides the chicken nuggets his favorite thing is the indoor playground and with the weather being pretty cold outside here on the east coast this was the perfect place! 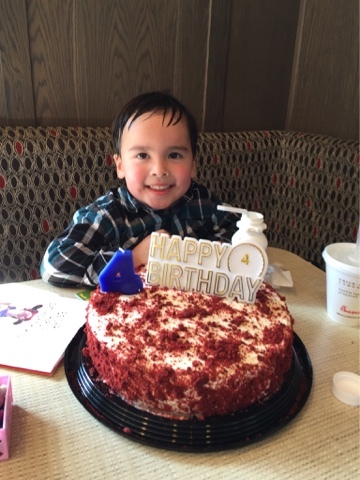 Some of his preschool friends came to celebrate with him and he couldn't of been happier. I made a few goodies for his friends to take home! The sugar cookies with royal icing (tutorial can be found here) is the same as I've made in the past. I used some blue americolor food gel to get a pretty blue color so I could pipe on the number 4 then I just put sprinkles on the rest. I created a label for the cookie bags on my computer to print out and staple onto the top of the bag. I also made a label for the bubbles to thank his friends for coming. The happy birthday pennant is the same one I've done for their previous birthdays and I just taped it on the wall (tutorial can be found here). I bought a red velvet cake from Costco and the candle/cake topper and the punch balloons are from target. 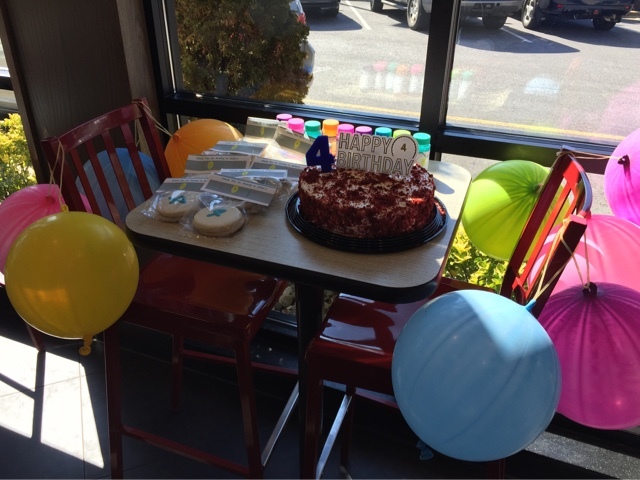 This was a really easy birthday party to host. No clean up and an indoor playground for the kiddos to run around and play! The staff was super helpful and the place is nice and clean. I ordered a small tray of chick fil a nuggets, a large tray of chicken cool wraps, a gallon of lemonade, and a gallon of sweetened iced tea for the parents to snack on. I ordered individual kids meals for each of the kiddos. 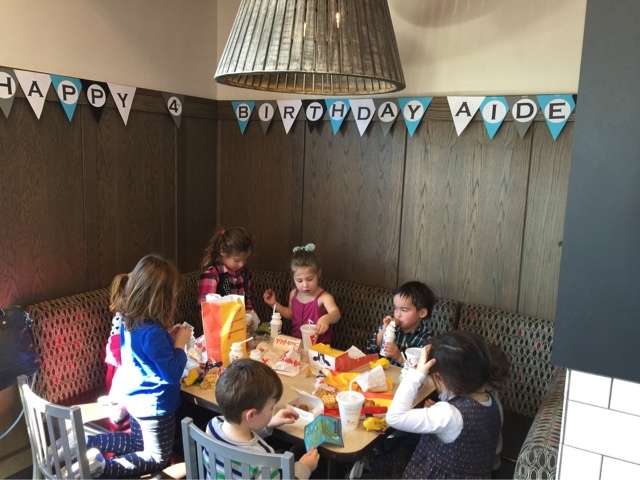 They all seemed to have a good time and A was one happy kiddo! Make It Yourself! Best Vanilla Cupcakes! Non candy Valentine's Day treats!